These websites may be used for your own reference or you may direct students to these resources if they are completing research. This link provides Health Canada's official stance on GMO foods and technology. 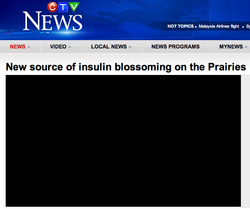 This article from CTV highlights the exciting research coming out of the University of Calgary from Dr. Maurice Moloney. Along with his team, he genetically modified safflower plants to create insulin. I like this link because it puts a spotlight on some Canadian achievements. Although from America, this article discusses a speech from Representative Dennis Kucinich. In it, he discusses the environmental and political concerns of GMO crops. Nassim Taleb says GMOS, "have the potential to cause an irreversible termination of life at some scale, which could be the planet." Although I don't know if there is enough time to explore GMOs in great detail, this website would be an excellent resource if there were! This website has a lot of information on the US agencies which regulate GMO technology. This is an amazing resource for teachers. 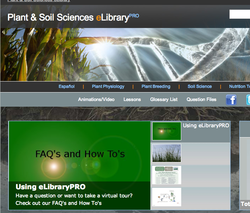 It has lesson plans, animations, assignments, case studies and much more. 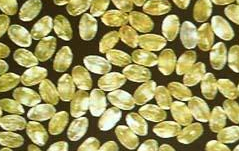 This provides information on Golden Rice.